Hockey Player Needed To Get Back Home For The Birth Of His Son. RIVAL Player Lends His Truck! 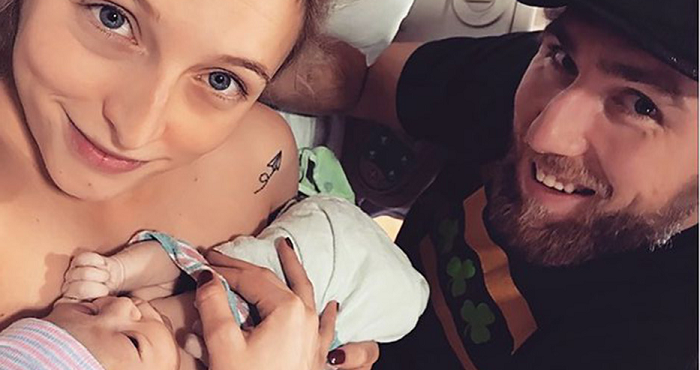 Pierre-Cedric Labrie, a player for the Milwaukee Admirals, found himself in an impossible situation when his wife went into labor at 2 A.M. He was in Michigan for a hockey match and suddenly realized that he needed to get back home to Milwaukee as fast as possible. He frantically began searching for flights…but the soonest he could get there would surely be after the birth of his child. The plane would land around 7 in the morning, and after the hassle of unloading luggage, he would still need to rent a car and drive for two hours to get to the hospital. He needed a new plan. Hiring a cab was out of the question. There was a snow storm bad enough that no driver would take the job, and he was beginning to realize that he probably wouldn’t make it in time. But then, he had a thought. He had a teammate who had played in Grand Rapids and asked if he knew anyone who would be willing to lend him a car to get home. Of all the people his teammate knew…the goaltender for their rival team answered the call. They had played against one another before but had never actually met. When they explained the situation, the rival player immediately agreed and lent Labrie the use of his Ford F-150 to brave the snow storms. Labrie arrived at the hospital at 6:15 A.M. just in time to see his son born 40 minutes later.